Holdfast: Nations At War | Holdfast: Nations At War is now 20 % OFF! Holdfast: Nations At War is now 20 % OFF! Holdfast: Nations At War is now 20% off for a limited time during Steam's seasonal autumn sale. 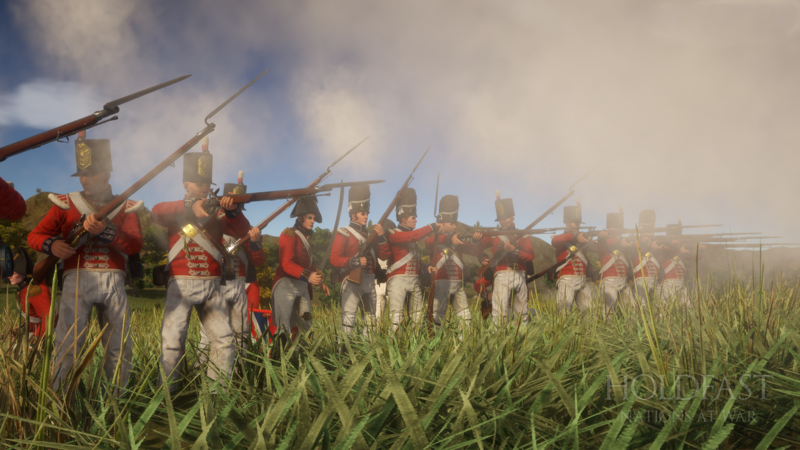 Muskets with relatively long reload times, sail ships of war, men marching into battle at the sound of drums, fifes and violins - Played by specific classes, Officers leading others to victory or to an inevitable death are some of the things that you’ll find in Holdfast: Nations At War. This all happens with over 150 players per server! We would like to once again extend our thanks to the community for their support! Your continuous feedback and suggestions shape the game. It would be great if you can help us spread the word around about the sale to bring this genre of Musket Warfare games that we all love in the limelight. Follow us on our Facebook and Twitter for more on Holdfast: Nations At War. We’re working on the next update. You’re welcome to check out the below videos. They have managed to capture some great moments! Until next time, may good health be yours. You can discuss this blog post here.